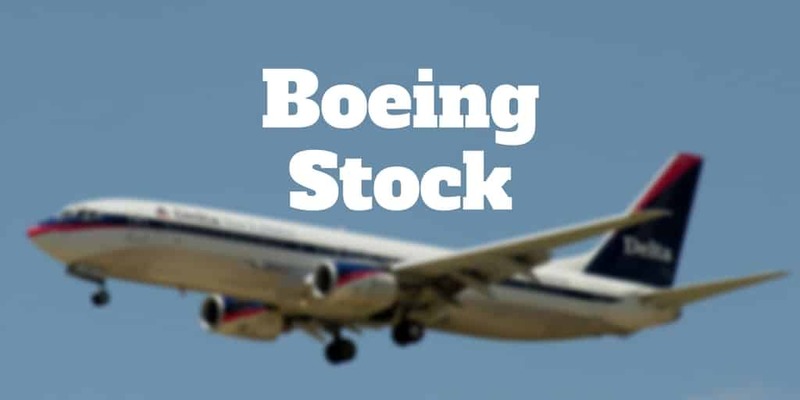 Home › Investing › How Do I Buy Boeing Stock? How Do I Buy Boeing Stock? Boeing [ticker symbol: BA] is an aerospace and defense company that is best known for designing commercial airplanes. But it has a long history of designing, developing, and manufacturing military aircraft, satellites, and missile defense systems. Boeing develops, manufactures and markets commercial jet aircraft for passengers and cargo in its Commercial Airlines segment. It also provides spare parts and technical advice to customers who include both corporations and governments. In its Military Aircraft division, Boeing designs, produces, and modifies manned and unmanned military aircraft. It researches and manufactures weapons systems, autonomous systems, and mobility and surveillance systems. The Network & Space division focuses on strategic defense and intelligence systems, as well as space exploration products and satellite systems. Boeing Global Services & Support provides supply chain management and engineering support, as well as training systems and even pilot and maintenance training. And finally Boeing Capital provides financing services for equipment under operating and financing leases. These may include notes, receivables, and other assets held for sale. But you probably already know what the company does, the big question is should you buy Boeing stock? Wall Street analysts update their buy, hold, and sell Boeing stock recommendations infrequently but as a solo investor you can make your own Boeing stock forecast by taking a look at key financial metrics. As a company founded in 1916 with a long established history, Boeing has the good fortune of a predictable revenue stream from government contracts. Even when a stock market crash occurs or the economy goes south, Boeing can count on top line revenues from long-term contracts to buffer it from the storms of economic woes. But Boeing can count on a lot more to bolster its revenues. The latest Boeing stock news shows a backlog of almost 6,000 aircraft representing nearly 8 years of production. Its commercial aircraft division should also benefit from expected increases in passenger growth. According to the International Air Transport Association (IATA), this year will show a single-digit percentage increase in passenger growth. More passengers mean more airlines placing orders for more aircraft with Boeing. But research on current trends can only take investors so far. When you analyze Boeing (stock symbol: BA) fundamentally, you can gather quantitative and qualitative research to make more informed buy and sell decisions. Quantitatively, we examined the following valuation models to find a fair value assessment for Boeing. Qualitatively, it is important to know as an investor why a company can sustain a competitive advantage over the long term. Could a wealthy competitor with a lot of money eat its lunch? If a rival cannot compete with Boeing despite having more money, Boeing may have a moat that cannot be disrupted or overcome any time soon. Even if a rival could buy the equipment, hire talented employees, and more rapidly manufacture planes, Boeing has earned the trust of the government and corporations as a preferred supplier. Those contracts act as a high hurdle for ambitious competitors to overcome. Even existing competitors, such as Airbus, Bombardier, and to some extent Raytheon and Lockheed Martin, have their work cut out for them… and they already are well-resourced. When you examine the company from a qualitative perspective, it is important to ignore the Boeing stock history and focus on non-quantitative information. The numbers are important but don’t let them cloud your judgment as to whether the company can sustain its competitive advantage by having a strong moat. Once you have a high level view of whether a company has a moat and a ballpark estimate for its intrinsic value or fair value, you can examine whether the company is a suitable investment candidate based on your own capacity for risk. A highly volatile stock price may be suitable for younger investors and perhaps risk-seeking investors but it could be inappropriate for investors looking for stable dividends. Looking at Boeing stock price today won’t be terribly helpful in making the decision. Instead, look at a Boeing stock price chart over different time frames. A 10 year stock price chart gives you insight into the swings in price from one year to the next over a full decade. When you look at a Boeing stock quote over a shorter time frame, you can get a better sense of the ups and downs over weekly periods. A 1-year Boeing stock price chart is ideal to zone in on expectations for how big the moves are and whether they are suitable for your risk tolerance. Sometimes, the price swings are exaggerated. For example, a Boeing stock buyback may reduce the number of shares outstanding and boost the share price more than would otherwise have been the case. Upon further examination, you can spot the likelihood that the price of Boeing stock will rise or fall. If revenues are increasing faster than costs, profitability is likely to increase and the share price may follow. When revenue growth diminishes, profitability tends to follow and stabilize or slow too. As a result, investors often apply lower multiples that impact how much Boeing stock is worth. As a rule of thumb, Republican presidents are perceived as positive for defense stocks like Boeing because they are viewed as more likely to boost defense funding, which in turn helps Boeing’s top line figures. Whether fairly or not, Democrat Presidents are viewed less favorably by defense stock investors. Regardless of which party held power, you can see the total historical revenue growth for Boeing has generally been positive. More important than Boeing revenues are its earnings. For investors, the question is how well can Boeing turn revenues into earnings? Even if Boeing needs to invest in infrastructure, manufacturing equipment, and design in order to pioneer new planes and products, which results in a delay in translating top line growth to bottom line growth, investors want to know whether future Boeing earnings growth figures will be high. The Boeing price-to-earnings ratio (p/e ratio) is a valuation metric that compares the share price of Boeing to its per-share earnings. Boeing price/earnings ratios help investors figure out how much investors are paying for $1 of earnings or profit. A company reporting basic or diluted earnings per share of $10 when the stock is selling for $300 has a p/e ratio of 30 ($300 per share divided by $10 earnings per share). You can view Boeing earnings per share relative to its competitors below. One way to think about P/E ratio is to invert the ratio and convert it to a yield. For example, a P/E ratio of 20x would translate to a yield of 5% (or 1 divided by 20). All else being equal this means that after about twenty years you would get your money back that you invested in the stock. Of course, other factors affect this calculation in reality like inflation and the purchasing power of your dollars. Boeing ROIC measures how well the company generates cash flow relative to the capital it has invested in its operating segments. Boeing earns excess returns which should translate to increases in value as the company grows. One of the most important metrics to pay close attention to as a Boeing stock investor is return on invested capital. How well does Boeing do converting revenues to earnings and creating value? The Boeing ROIC measures the returns generated for both shareholders and bondholders. If Boeing generates a higher ROIC than its competitors it tells you that management generally does a good job keeping stakeholders who own equity and bonds happy. High debt levels can hurt profitability when interest rates rise following a Fed rate hike. Some companies don’t need much debt to grow. For example, Facebook acquired billions of users on its platform organically without paying for them. If you had to pay to buy those customers to join a new company that competes with Facebook, you would probably need to borrow or invest billions of dollars. Boeing doesn’t have the luxury of a scalable platform like Facebook does and is saddled with a debt load of billions of dollars. While Boeing’s market capitalization and revenues are so high that its debt load is comparatively low as a ratio, margins may be hurt in higher interest rate environments if variable rate loans require higher interest rate payments. When Boeing raises money from shareholders and bondholders, how much does it cost the company and does Boeing keep them happy? The Boeing WACC, or weighted average cost of capital, helps to answer this question because it encompasses the required return by stakeholders. For example, if a company needed $1,000 to operate and receives $500 from shareholders, who demanded a 9% return, and $500 from lenders, who demanded a 3% return, the WACC needed to keep both equity and debt holders satisfied is 6%. Should you buy Boeing stock? Boeing has a strong moat thanks to government contracts, a strong backlog of orders for commercial airlines, and a long history of strong financials. If you are looking for yield, compare the Boeing stock dividend to its share price to determine whether the annual payout meets your criteria. When you evaluate both quantitative and qualitative criteria, you may decide you want to invest in Boeing stock, but make sure it is valued fairly and, unlike some who continue waiting for a Boeing stock split that may never occur, consider in partnership with your financial advisor whether buying Boeing stock is suitable for you and your financial goals. Have you invested in Boeing stock? What investing tips can you share? We would love to hear from you. If you have other questions like how much is Boeing stock? What did Boeing stock close at today? Or what is Boeing stock ticker? Simply let us know! >> Is Netflix Stock Worth Buying? >> Should You Buy This Healthcare Stock? ‹ How Do I Buy Stock In Amazon?